This tool approximates costs associated with leasing a vehicle. Start by inputting your desired vehicle’s purchase price, your down payment in cash, and your trade-in allowance, if applicable. Finish up by entering the sales tax percentage, the lease term in months, the lending rate (APR), and the car’s projected value at the end of the lease period. Click CALCULATE, and you’ll see a detailed rundown of costs associated with leasing a new automobile. You may also want to try our lease vs buy calculator. Even though most consumers are aware of the existence of automotive leases, they never take the time to learn just what this type of contract entails. Instead, they assume that buying is better. And in a society driven by capitalism and the all-powerful allure of ownership, this isn't terribly surprising. But when you crunch the numbers, you may find that virtually renting a car makes a lot more financial sense than purchasing one outright. Still, you can't simply jump into a lease without understanding what this type of deal involves. Paying to borrow a car from the dealership for a set period of time can be extremely economical or extremely expensive, depending on factors like your average usage and the limitations spelled out in the contract. So before you decide to lease a vehicle, or alternately, to discount this option out of hand, here are some important facts about the proposition that you need to know going into the process. This simple tutorial just might change your mind about renting versus buying your next car. When you understand how the agreement for this type of transaction works, you'll see why monthly lease payments are so much lower than a standard car payment. Consider that buying an automobile means you are paying off, say $30,000 (plus interest on the loan) over the course of five years. With a lease, you have possession of a car for maybe three years, during which time you're only responsible for paying the amount of the potential depreciation of the vehicle. That generally amounts to significantly less than the for sale sticker price of the product. Don't forget, you can also negotiate the price, just like when you buy. And after your term ends, the dealer will spruce up the auto, bump up the price, and sell it at a profit as a certified pre-owned vehicle, supposing you opt not to buy it at that point. This is one of the very best reasons to get into a leasing situation. It might not seem particularly appealing to continue renting a vehicle into perpetuity, even if you do get to hop into the latest model every couple of years. But when you add up all the costs, you could end up saving a significant amount of money by not paying the interest on a loan, especially considering how many people pay off a vehicle only to purchase a new one once their warranty expires, their mileage is high, and they have to start paying out-of-pocket for repairs. At the end of your rental agreement term, you generally have the option to purchase the vehicle you've been leasing. Suppose, just for example, that you get into a $30,000 vehicle and pay off about $10,000 of that amount in the three years you drive it. When you opt to buy, the remaining price will be $20,000. If you elect to get a loan at that point, you'll be financing for a smaller amount, potentially making for better terms on your loan. And further, you'll pay less interest over time since the loan is for a smaller amount and a shorter period of time. In short, you'll get an extended test drive to figure out if you want to purchase a vehicle, followed by a major break on the overall cost. There are two ways to save on taxes when you opt for a rental agreement rather than buying your horseless carriage. Like any product purchase, you're going to pay taxes. And when you buy, you'll pay taxes based on the whole cost at the time of purchase. By selecting the alternative option, you're paying taxes on the cost associated with the term of your arrangement, which is only a fraction of the total price for the vehicle. And you can pay this amount over the course of your contract rather than up front. In addition, businesses that lease vehicles specifically for work-related purposes can write off the entire amount of their monthly payments as a business expense, saving money on income tax in the process. 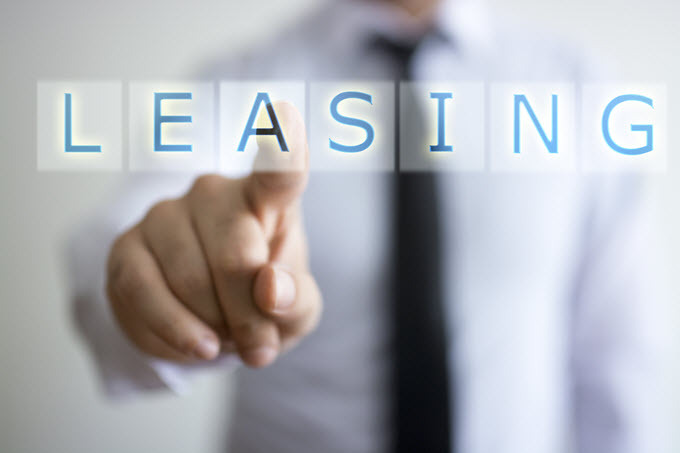 If you like to tool around in the latest model of your favorite automobile, leasing could definitely be the way to go. When your contract expires, all you have to do is return your current model in good condition in order to upgrade to a newer vehicle. Many automakers don't release new models every year, but they could install upgrades or even revamp a particular model two or three times during the ten or so years you might go between vehicle purchases. So if having the latest and greatest mechanical and technological advances is high on your priority list, leave car buying to other consumers. Any time you rent instead of buy, it's your responsibility to make sure that the item in question is returned in good condition. In the case of an automobile, this means avoiding unnecessary damage. While normal wear and tear is to be expected and some amount will likely be forgiven, any serious damage will result in penalties to be paid upon return of the vehicle. Further, most agreements stipulate limits on mileage (say, 15,000 miles per year). If you exceed this amount, you will almost certainly be hit with penalties. You will be expected to conduct regular maintenance and repairs on your vehicle during the course of your contract at your own expense, including oil and fluid changes every three months or 3,000 miles, along with less frequent major inspections. And you'll have to obtain full coverage auto insurance, just as you would during the course of paying down a loan. But you may also be required to carry gap insurance, which amounts to the monetary gap between what is owed on the vehicle and the actual value of the product (which is often less than what's owed due to depreciation). As a result, you could potentially end up paying more for insurance in a leasing situation, but likely not so much that it offsets the money you'll save. There are two types of agreements you might enter into, and closed-end is generally preferable for the average consumer. This is because a closed-end option means the dealer assumes responsibility for any depreciation in value beyond what has been forecast. Suppose your total payout on a $30,000 vehicle ends up being $10,000 over the course of your contract. But when you return it, the value has dropped by $15,000. This, of course, is extreme, but with an open-end agreement, you could end up getting billed for the difference. It might not happen, but you probably don't want to take that chance. It is extremely important that you understand all the terms of your contract before you enter into an agreement regarding a vehicle you intend to lease. And considering that the terms can differ from dealer to dealer and even from one contract to the next, you need to know exactly what you're getting into so that you don't end up owing more than you should for fees and penalties in the long run. The good news is that you can often peruse a standard contract from a dealer in advance of signing on the dotted line simply by asking for one a few days before you intend to enter into an agreement. This will give you time to go over costs and restrictions, ultimately leading to an understanding of the finer points of the contract. Like any transaction, knowing the parameters is the best way to meet your obligations and avoid surprises. And when all is said and done, you'll get the best value from the arrangement.